Amazon’s Prime Exclusive Phone Program is very admirable. True, Amazon itself benefits from selling these devices, but ultimately, the true winners are consumers. If you aren’t familiar, these Android phones are priced very low because they are subsidized by lock screen advertisements. It allows people that are struggling financially (or those that just like to save money) to achieve a solid phone at an affordable price. Today, the Prime Exclusive Phone program gets even better. You see, Amazon is dropping the lock screen ads! In other words, Prime members can now score affordable phones with no gimmicks. Amazon will even issue updates to existing Prime phones to remove ads from them too. Nice! "As smartphone technology has evolved, we also want to evolve the Prime Exclusive Phone experience to ensure customers can easily use features such as the phone’s mobile unlock technologies like facial recognition and fingerprint sensors, as well as be able to personalize device lockscreens with photos or wallpapers. Customers who currently use a Prime Exclusive Phone will receive a free update starting this week with this change, which will remove the lockscreen offers and ads," says Amazon. The online bookseller further says, "Prime Exclusive Phones will continue to be offered exclusively for Prime members with discounted prices and will be available unlocked, giving customers the freedom and flexibility to choose the wireless carrier and service that best fits their need. 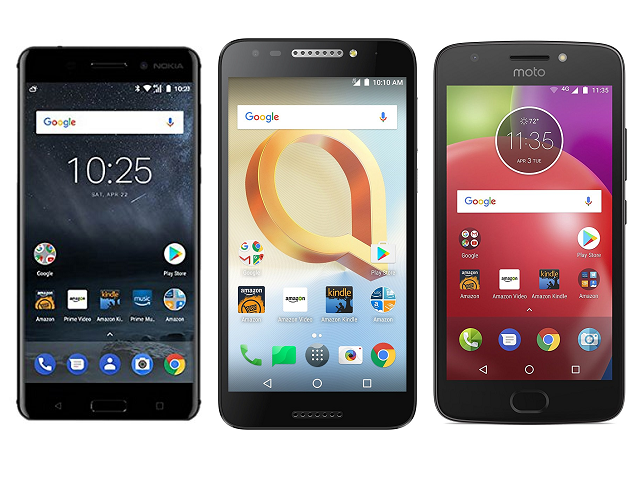 With a single sign-on experience, Prime Exclusive Phones provide Prime members quick and easy access to their Prime benefits through a pre-installed selection of popular Amazon apps." Before we heap too much praise on Amazon, Google has been rumored to be planning to ban advertisements from Android lock screens. This could be more of a preemptive move than anything honorable. With that said, who really cares why it is happening -- let’s just rejoice that the ads are going away! Are you more likely to buy a Prime Exclusive Phone from Amazon now that lock screen ads are going away? Tell me in the comments below. [UPDATE] With the ads are going away, Amazon is raising the prices of these phones by $20; not the end of the world, but still disappointing. With that said, these phones are still quite affordable even at a slightly higher price.